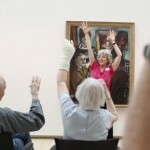 Association of American Museum Directors’ Newsletter Features our Program! 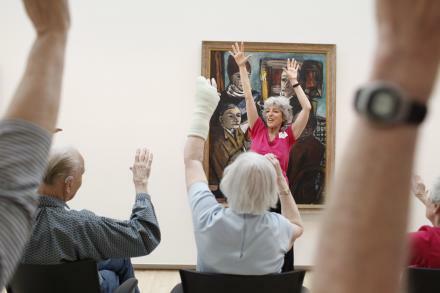 I’m happy to share the following link to a feature story in the Association of American Museum Directors’ newsletter which highlights Maturity and Its Muse’s collaborative effort with the Kemper Museum at Washington University to provide an engaging program, KARE, for folks with early to mid Alzheimer’s and their caregivers/care partners. It’s Maturity and Its Muse’s champions who deserve huge hands of applause…their faithful and consistent support has and continues to go a long way to make this noteworthy program possible. Here is a teeny sample of a KARE highlight.